I've read that homologous chromosomes are composed of one maternal chromosome and one paternal chromosome. They have the same size, length, loci and same genes but are not identical. They have different DNA sequences, so contain different alleles. Still, I'm confused if it should be one maternal chromatid and one paternal chromatid. I thought, homologous chromosomes are supposed to be one maternal and one paternal chromosome? Can someone kindly explain if chromosomes are duplicated as to one paternal and one maternal chromosome or not?? Now is this image a homologous chromosome duplicated? So there are two sets of homologous chromosomes? Part of the problem is that chromosome is a slippery word. Really it should refer to a single DNA molecule, but since chromosomes came before DNA this sometimes gets a little loose. This explanation refers to the five Figures in your question as 1-5 from the top. 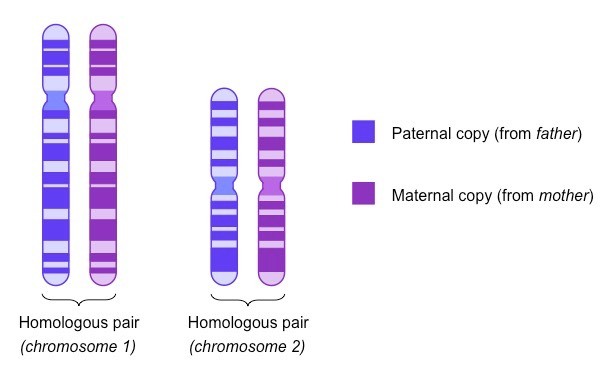 Figure 1 A pair of homologous chromosomes from a diploid cell drawn to illustrate their relationship in terms of genes, alleles, centromeres etc. This doesn't really correspond to any biological event. Colour coding is to emphasise that they originated from different parents. I suppose this is what you see in a karyotype. Figure 2 An homologous pair again, different colours again, but they aren't closely side by side. When each one replicates we end up with pairs of sister chromatids joined at the centromere. These are four homologous chromosomes. 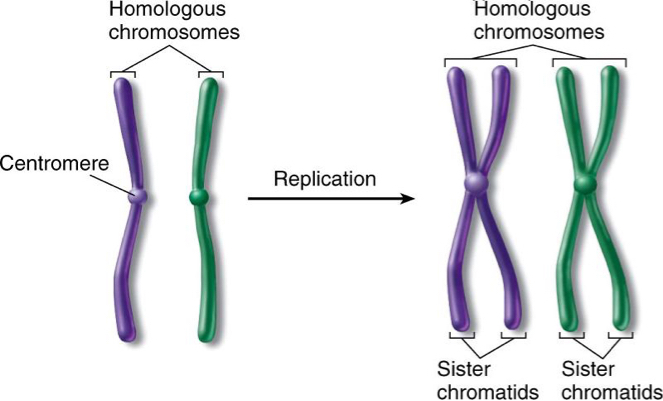 At mitosis each of the pairs of sister chromatids will be pulled apart with one chromosome going to each daughter cell. 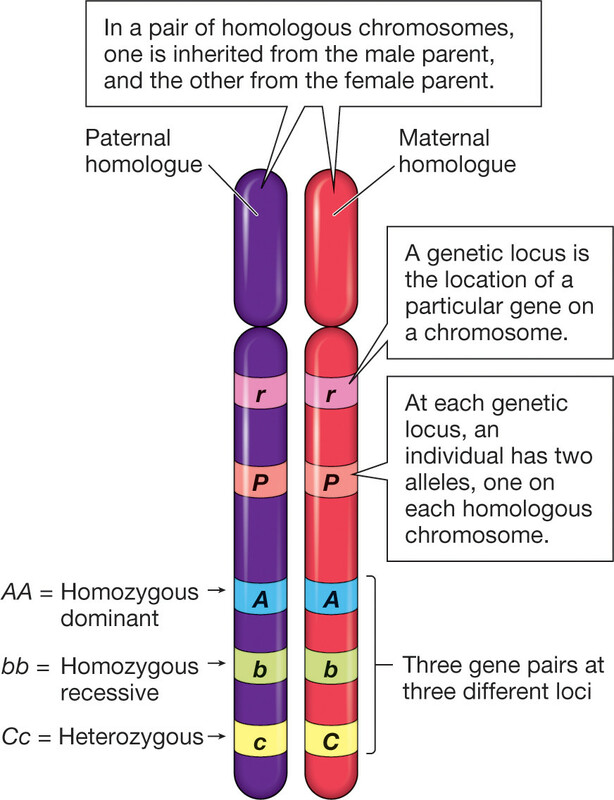 So the daughter cell will end up with a pair of homologous chromosomes, one maternal, one paternal. Figure 3 is very similar to Figure 2, nothing to add really. 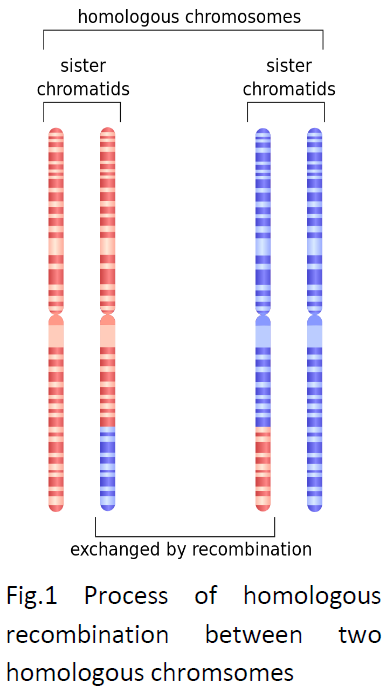 Figure 5 Up to now the images have been designed to illustrate one chromosome either individually, as an homologous pair or as a pair of sister chromatids. But of course most organisms have more than one chromosome. Leaving aside the X and Y chromosomes your cells have 22 pairs of homologous chromosomes or 44 individual chromosomes. When these replicate the cell will have 88 chromatids, forming 44 pairs of sisters, corresponding to 22 homologous sets of four. Not the answer you're looking for? Browse other questions tagged genetics chromosome karyotype or ask your own question.